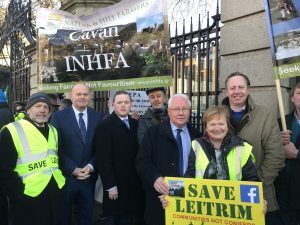 Fianna Fail Councillor, John Paul Feeley today (Wednesday 30th January 2019) attended a protest at Leinster House organised by the Save Leitrim Campaign to highlight the negative impact of virtually unregulated afforestation in Counties Cavan and Leitrim and elsewhere in the North-West. Councillor Feeley has over the years raised the need for more planning restrictions on forrestry to ensure that would bring the planting of land under the Planning and Development Act. 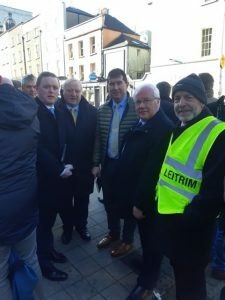 Councillor Feeley noted that the Government had announced a review of forestry in County Leitrim. 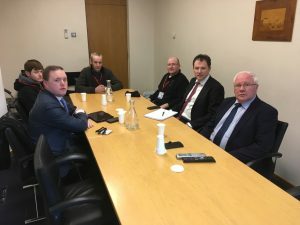 He called for this to take in areas in County Cavan and the wider North West and that a moratorium be imposed on the planting of silka spruce and mon-culture forests until such time as a new regulatory framework. This entry was posted in Press Releases on January 30, 2019 by admin.